A Mayo Clinic task force has challenged some recommendations in the updated guideline for cholesterol treatment that was unveiled by the American College of Cardiology (ACC) and American Heart Association (AHA) in 2013. 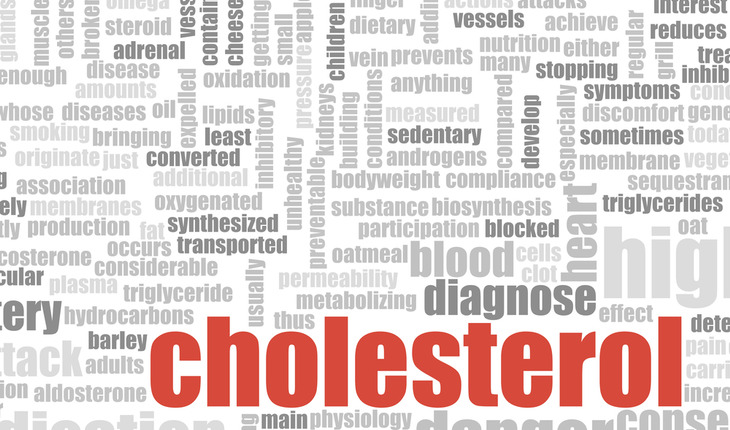 The task force concludes, based on current evidence, that not all patients encouraged to take cholesterol-lowering medications such as statins may benefit from them and that the guideline missed some important conditions that might benefit from medication. Not only that, but the task force believes an emphasis needs to be placed on an individualized treatment approach with each patient and exercising shared decision-making. A release from the clinic notes that the task force is made up of Mayo Clinic experts in cardiology, endocrinology, and preventive medicine with no conflicts of interest or links to the drug industry. The recommendations were published August 14th 2014 in Mayo Clinic Proceedings. An editorial will accompany the paper. Mayo Clinic physicians are adopting the task force’s guideline. * The ACC/AHA cholesterol treatment guideline recommends prescribing the strongest statins at high doses to most men older than 65, even those with no history of heart disease, or any major risk factor for heart attacks, and with normal cholesterol levels. Men this age will be classified as high risk only on the basis of age. The Mayo task force found no evidence from clinical trials to recommend treating people only on the basis of age in the absence of risk factors, high cholesterol or inflammation. * The ACC/AHA cholesterol treatment guideline recommends cholesterol-lowering medication as a primary preventive measure against cardiovascular disease, and encourages health care providers to simultaneously emphasize the importance of healthy lifestyle habits. The Mayo task force encourages lifestyle changes — such as exercise and dietary changes — first, followed by re-evaluating risk in three to six months before prescribing statins, especially in motivated patients and with borderline high risk. * The ACC/AHA cholesterol treatment guideline recommends statins for all people with diabetes mellitus who are 40 years or older. The Mayo task force debunks the concept that all diabetics have the same risk as people with history of heart attacks. The Mayo task force does not recommend in favor of or against the use of statins in patients with diabetes in whom the risk for heart attacks or stroke is low based on the calculator proposed by the ACC/AHA. In addition, Mayo’s task force recommends statins to patients with some conditions that the ACC/AHA guideline did not specifically address, such as patients who have rheumatoid arthritis, recipients of a kidney or heart transplant or those infected with the AIDS virus. These patients are known to have an increased risk of heart attack, Dr. Lopez-Jimenez says. A second Mayo Clinic task force provided a perspective on the new ACC/AHA guideline for assessing cardiovascular risk in patients who do not have heart disease, also released in 2013. The panel recognizes the value of several new features in the guideline, such as specific risk equations for African-Americans, equations to calculate both 10-year and 30-year lifetime risk, inclusion of stroke as an adverse cardiovascular event, and emphasis on shared decision-making. These recommendations were also published in a second paper August 14th in Mayo Clinic Proceedings. But there are areas where Mayo’s risk assessment task force recommended adaptation of the ACC/AHA’s recommendations. For example, the ACC/AHA guideline suggests using family history only when a “risk-based treatment decision is uncertain,” says Iftikhar Kullo, M.D., Mayo Clinic cardiologist and chair of the risk assessment task force. * An ultrasound test of the carotid (neck) arteries to measure thickness of the lining of the arteries, as well look for presence of plaque. * A noninvasive test (aortic pulse wave velocity) to measure stiffness in the arteries. * A blood test to measure lipoprotein(a), a type of LDL (or “bad”) cholesterol. Lp (a) level is determined by genes, and high levels are associated with increased cardiovascular risk.